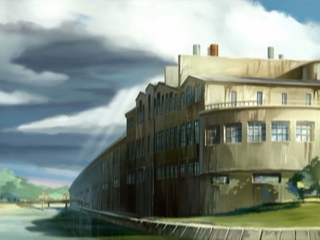 The factory, well known by the heroes, is located a few hundred yards from Kadic Academy. In theory, they can easily reach it, as long as XANA doesn't get in their way. 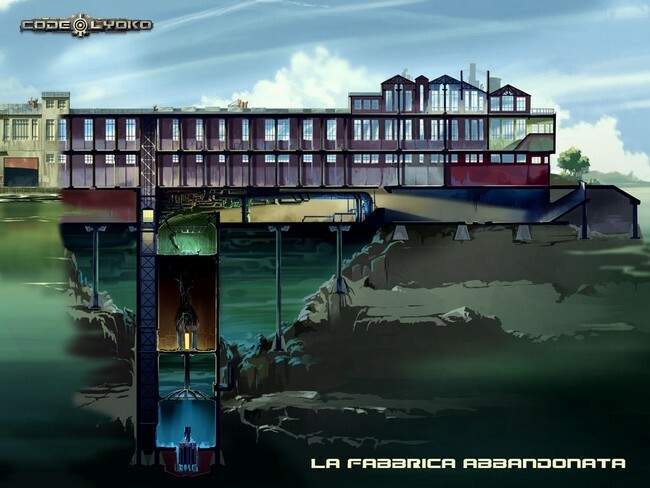 To go there, they can use the secret passage through the sewers that leads them to the bridge, in front of the factory. It is indeed an insular factory, located on the city river, the Seine in this case! That's also why, when the heroes go down below to the basement, they are actually below the water level! 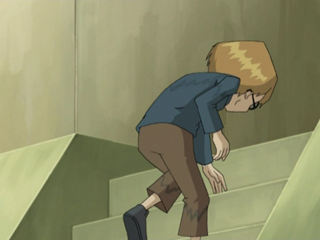 We realize in episode 14 “The Trap” that if the walls surrounding the elevator happen to crack, the water can get into the crack, risking drowning those who are inside the elevator! But a blueprint might explain this better! Make the most of the opportunity to view all the rooms and their position in the factory! The river doesn't have much use, except for when XANA wants to drown a hero (episode 64 “Double trouble”). 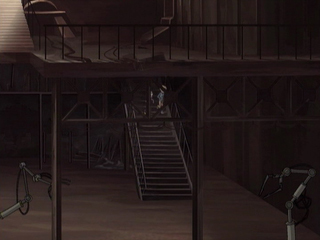 If XANA blocks the factory entrance, the heroes can eventually cross the river and go in (episode 11 “Plaqued”). When the heroes get to the bridge, they come out onto the upper floors in the cathedral hall and immediately go down thanks to ropes hanging from the ceiling! 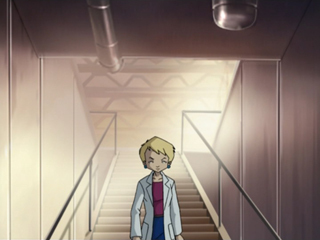 From there, most of the time, they use the elevator to reach the scanner room, the lab, or even the Supercomputer room. 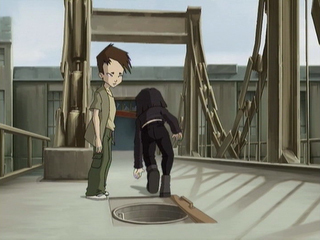 XANA knows it, that's also why it booby traps the factory elevator in episode 14. But even when the elevator circuits are switched off, the heroes can take the corridor underneath the cathedral room! A longer route, certainly, but still there! 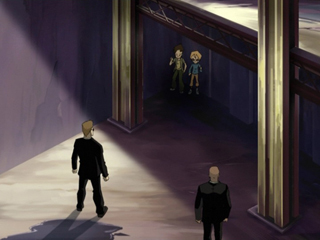 In episode 47 “Tip-Top Shape”, Jeremy will block the elevator to force Yolanda to make a detour through the corridor, allowing time for the heroes to organize themselves. Sometimes, XANA itself blocks the elevator without notice (episode 80 “Dog Day Afternoon”). So, the corridor and especially the cathedral room are the places where the battles often rage on! 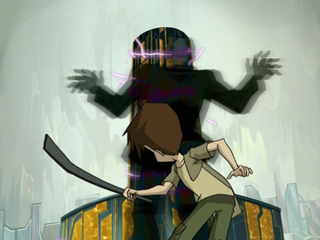 Sometimes against a xanafied person (Jim, Yolanda, Jeremy, secret agents or even bikers), sometimes against monsters materialized onto Earth (episodes 26 “False Start” and 39 “A Bad Turn”); this vast and usually peaceful space can quickly be filled up with cries of pain, explosions and debris from the bedlam of battles! The rest of the upper area of the factory is much less often visited. 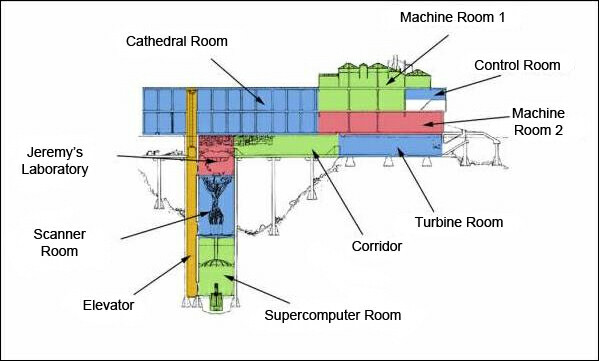 The machine rooms, the turbine ones and the control station remain in a slump most of the time, falling into disuse just like the factory. However, they do have a role to play: twice, XANA will take control of the machines and robots in those rooms. 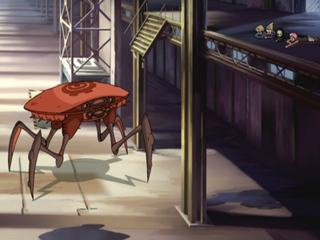 In episode 20 “The Robots”, it will use them to build killer robots, while in episode 14 “The Trap” it only attacks the heroes directly! XANA will even make the boiler explode! ...and first and foremost... 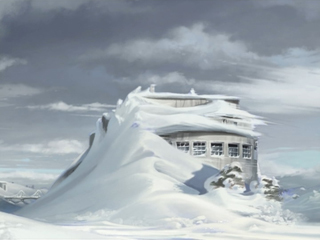 It is in these withdrawn places that the Ultimate Earthly Confrontation between William and Yumi, and then Ulrich, will take place. 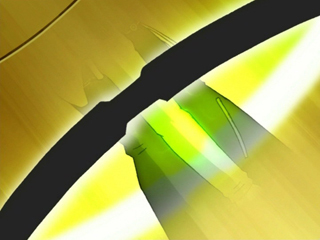 The confrontation will stay in the archives of violence, before XANA perishes and the last dying spectre escapes from William and disappears in volutes of smoke (episode 94 "Fight to the Finish"). In a less devastating context, Jeremy will use the factory's large rooms to be followed by Herb and Nicholas and shake the boys off in the vast spaces. 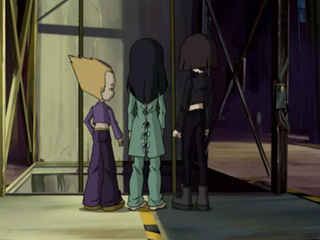 With both intruders wandering around the factory, it was necessary to keep them away from the Supercomputer and its secrets at all costs (episode 73 "Replika"). The last three rooms play a decisive role in the story! The deepest is the Supercomputer Room. 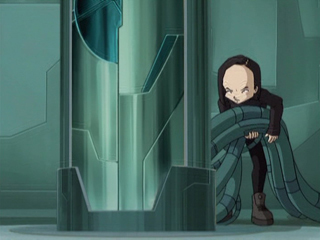 It is in this one in which the famous machine which generates Lyoko, launches the Return to the Past, records all the data relative to the Lyoko Warriors and which especially shelters XANA, is found! 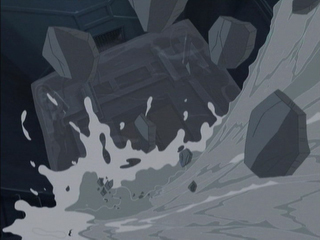 The room contains an underground part into which the Supercomputer sinks and resurfaces with a kind of white fluid seeping out of it. From all accounts, it is a cooling chamber because Supercomputers heat up so much that they must be cooled with something more than simple ventilators. Nevertheless, the heroes only come down there on rare occasions! Most of the time, it will be Jeremy who will work there because XANA blocked programs or damaged some circuits (episode 22 "Routine"). 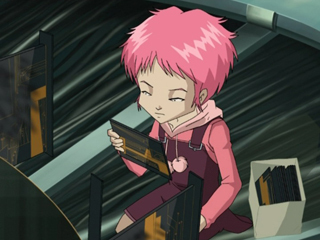 Aelita will assist him sometimes (episode 61 “Sabotage”). 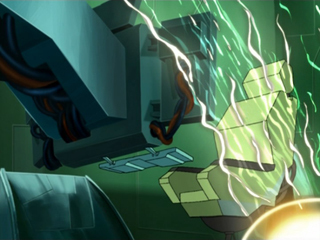 In episode 37 “Common Interest”, Jeremy goes down there to change the Supercomputer's nuclear battery! 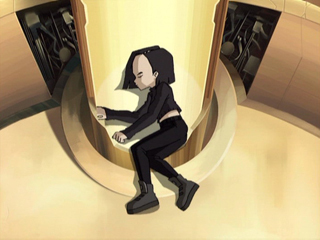 Nevertheless, they have to dedicate a permanent attention to the Supercomputer Room, because as we know, XANA always planned to destroy the Supercomputer, as it tried to in episode 56 “False Lead” (with the xanafied agents) or by using William in episode 81 “A Lack of Goodwill”. At these times, the heroes are again forced to come down to protect the machine. They will sometimes receive help from outside, like from Jim or William's clone. Their last visit to the room is made in two phases. 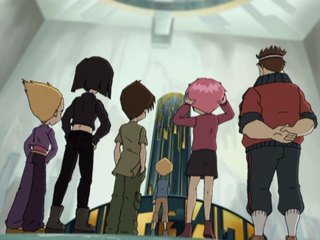 Planning to switch off the Supercomputer for good, released from XANA's threat, the heroes hesitate at first in front of all that it represents, vote to leave it on, then after they reflect on the situation, Jeremy finally lowers the lever. Above the Supercomputer are the scanners! Big cables cross every part of this room, connecting the scanners to the Supercomputer and the laboratory! A ladder links this room to the laboratory and a winch allows for descents to the Supercomputer! 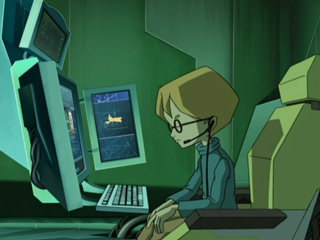 The heroes always have to come through the Scanner Room because it is the direct portal towards Lyoko. Rectangular, this room is not very big compared with the Lab or the Supercomputer room, but it is very high. It shelters three yellow cases that measure two metres high. At the base of scanners is a mess of cables. They feed the scanners with energy. 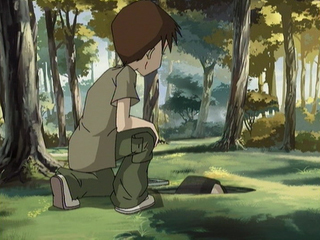 If they are disconnected (in episode 7 “Image Problem” by Yumi's clone for example), any rematerialization is impossible. Scanners are thus a stake for XANA. You can learn more about it by consulting its section. On the tops of the cases, messes of cables rise up to the ceiling to end up in the laboratory. 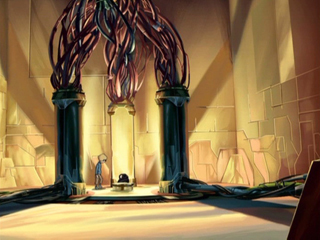 The Laboratory is the most important room in the factory. 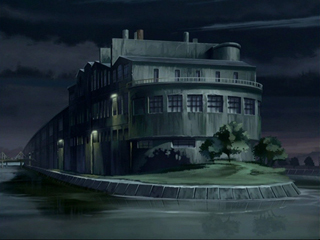 It is also the heroes' general headquarters. 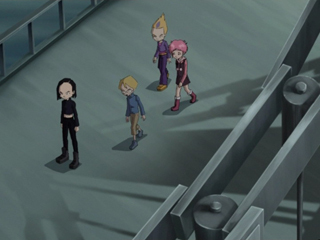 Whether it be for reviewing materialization, the antivirus or XANA attacks, to exchange ideas about a possible new Lyoko Warrior, or take lessons about the Supercomputer, it is rare not to see the five friends together in the room. 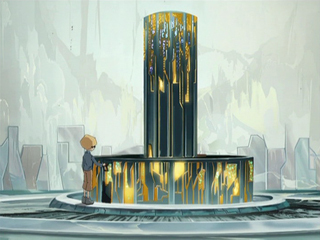 A machine paradise, in the center of the room sits the Supercomputer as well as the Holomap, the hologram showing every Sector of Lyoko. It changes its appearance when the heroes go to Sector 5. At this moment, it reproduces the big blue ball which represents Carthage. In this case we call it the Holosphere. If the heroes dive into the network, it becomes the Holoweb. 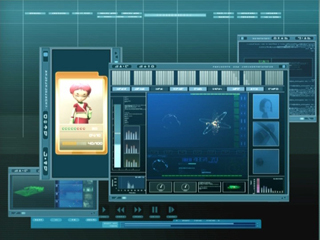 The Supercomputer is made up of four screens. A central one, two laterals and a fourth above the main screen. Cables in every corner of the room are connected to the Supercomputer. 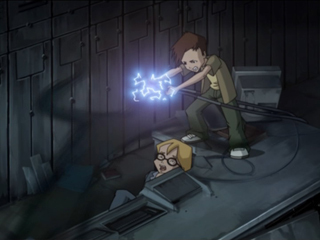 XANA uses them for example in episode 18 “Killer Music”, to fill up the room with the fatal music. Moreover, we can let ourselves think that they are there to cushion falls, because when one of the heroes is propelled against a wall, they always land on cables. Let's finally note that the laboratory is, as well as the Cathedral, the theater of ceaseless battles, especially with the advent of xanafication! The xanafied are always inclined to take Jeremy's place at the commands! 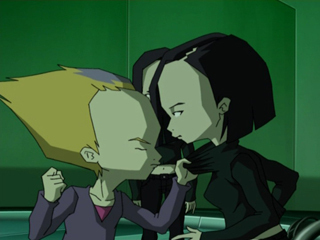 That is why, even once devirtualized, the Lyoko Warriors have much to do to protect Jeremy! 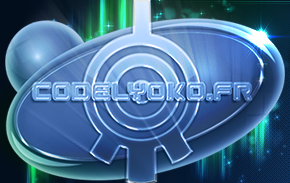 Do you wish to discover the real factory? 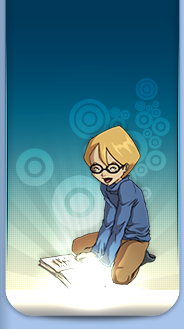 Come browse our file. Did you enjoy the visit? Don't you get caught while going back home!